Delhi-based 91springboard, a firm that provides co-working spaces to startups, said on Thursday it has raised an undisclosed amount of funding from Khattar Holdings, ThirtyThree Investments and others. Other investors in the company include Sumit Dayal, global head of corporate finance at Standard Chartered Bank; Rohit Gupta, president of Sony Entertainment Television; and Rahul Gupta, managing director of business development for the ASEAN region at GE. The funds will mainly be used to expand the firm’s operations and build technological capabilities. 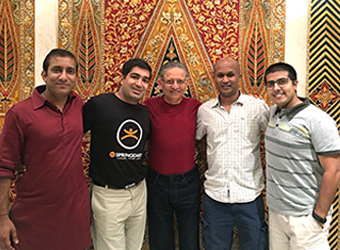 Launched in 2013, 91Springboard first began its operations in Delhi and has since moved to Gurgaon, Noida, Hyderabad, Bengaluru, Navi Mumbai and Mumbai. Besides providing co-working spaces, the firm also serves as an incubator, providing investments and support to startups. It has about 400 member companies and organises 40 events a month across its locations, according to its website. 91springboard was started by a bunch of entrepreneurs. They include Pranay Gupta, who was previously joint CEO at IIM Ahmedabad’s Centre for Innovation Incubation and Entrepreneurship; Anand Vemuri, who was associated with US-based medical device startup Caldera Medical; and Varun Chawla, the founder of myguesthouse.com, which was acquired by MakeMyTrip. Deepak Sharma, former chairman of Citi Private Bank, and Susan Lim, co-chair of the global advisory council of the International Society for Stem Cell Research, are among the other co-founders. Both also invested in this round.